This entry was posted on October 16, 2011 at 01:16	and is filed under Al Fajer Properties, Criminal Complaint, criminal Dubai, Denton Wilde Sapte, Developer Dubai, Dubai Property Fraud, Fraud Dubai, Immobilienbetrug Dubai, Maktoum Hasher Maktoum, Micheal Kerr DWS Dubai, SNR Denton Dubai, Strafanzeige Deutschland, Trevor Hardwick. 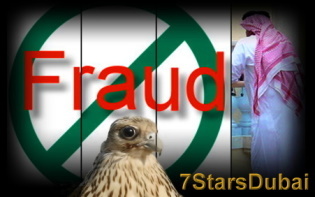 Tagged: Al Fajer Properties, Criminal Complaint, Denton Wilde Sapte, Immobilienbetrug, Michael Kerr Dubai, real estate dubai, Sheikh Maktoum Hasher Al Maktoum, Strafanzeige Dubai. You can follow any responses to this entry through the RSS 2.0 feed. Both comments and pings are currently closed. This is one of the many verses in the Qur’ân that command us to fulfill our obligations, our promises, and our pledges. The Qur’ân also harshly rebukes those who fail to do so. Allah’s command to “fulfill (all) obligations” is a general command and it applies to all obligations and covenants, regardless of whether those obligation are with Muslims or to non-Muslims. The command applies as long as the obligation itself is not contrary to the dictates of Islamic Law. This hadîth gives a stern warning against the breaking of promises. This hadîth, like the verse above, is general. It applies to all promises and pledges, regardless of whether the person with whom he made a promise is a Muslim or a non-Muslim. Al-Tirmidhî grades it as a good hadîth and al-Albânî grades it as authentic. These two texts are just as general in their meaning as the one’s mentioned earlier. 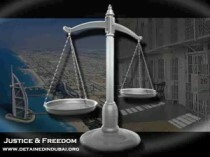 They apply to all debts, regardless of whether the person being owed is a Muslim or a non-Muslim. This hadîth indicates for Islamic Law that fulfilling the debts left by the deceased benefits the deceased in his life of the Hereafter. This is why his successor is commanded to pay off his debt on his behalf and that the estate will not be distributed to the inheritors except after all debts have been paid. Here, the inheritors are being encouraged to pay off the debts of the deceased and informs them that his soul is suspended by the debts until they are paid off. This circumstance is conditional on the debtor dying while being in possession of wealth to pay towards his debts. As for a person who dies without possessing any wealth, but who had been determined to pay off his debts, his case is different. There are other hadîth that tell us that Allah will fulfill his debts on his behalf. Indeed, it is established that the mere desire on the part of the dying person to pay off his debts is sufficient for Allah to fulfill them on his behalf. These hadîth show us that debts are serious obligations, regardless of the identity of the party to whom the debt is owed. It is obligatory for a Muslim who is in debt to pay off his debts promptly, as soon as they come due, if he is able to pay. If he dies, it is forbidden for his inheritors to receive their shares of his estate until all outstanding debts and bequests are satisfied. If the person who died did not leave behind what will fulfill his debts, it is sanctioned for his successor to pay it off on his behalf, and the deceased will benefit form that. If the debt in question is an interest loan, then the lender is only entitled to his principal. At the same time, the debtor is also not entitled to the amount of the accrued interest, and he must rid himself of that sum from his own wealth and spend it on the needs of others with the intention of ridding himself of unlawful wealth and not with the intention of spending in charity. The rights that people have are upheld for them in the Hereafter and are recompensed through good deeds or bad deeds. This applies generally, even between believers and non-believers. As for how Allah will carry this out between believers and non-believers, we cannot know this. When a Muslim has wronged a non-believer, will Allah take away some of the non-believer’s evil deeds and make the Muslim assume them? Or will some of the Muslim’s good deeds and in lieu of them lighten the non-believer’s punishment? Only Allah knows. We are not held accountable to know such matters of the Unseen and we will not be asked about them. We as Muslims are, however, responsible for our conduct. We are warned against wronging others and making little of our obligations towards others, regardless of what those obligations might be and regardless of who the people are to whom we are obliged. And may the peace and blessings of Allah be upon the Prophet Muhammad, his family, and his Companions.